Following news of the cancellation of a Kingdom Hearts game for iOS, concept art began to emerge for the proposed Disney worlds that would have appeared in ‘Kingdom Hearts: Fragmented Keys‘. 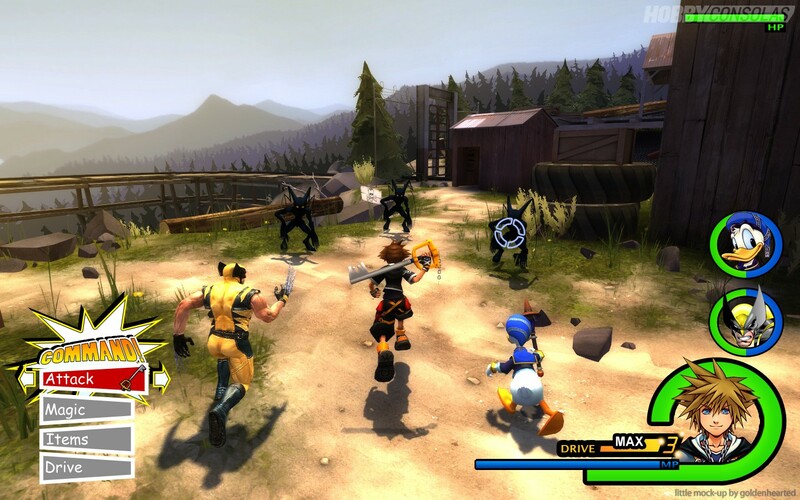 As well as returning to series favourites like Neverland, Agrabah and the Seven Dwarves’ Mines, the art revealed locations from four Disney franchises that had not yet appeared in the expansive universe of Kingdom Hearts. In this article, I’ll share both the concept art for Fragmented Keys as well as art by the fans who want to see these worlds realised, and then I’ll propose four more franchises that this direction could take Disney when it comes to laying out the worlds for Kingdom Hearts III. After Disney released the highest grossing animated film of all time (and spawned both an infuriatingly catchy soundtrack and a hundred related Disney blogs) it’s no surprise they would choose to capitalise on this success in their digital universes. 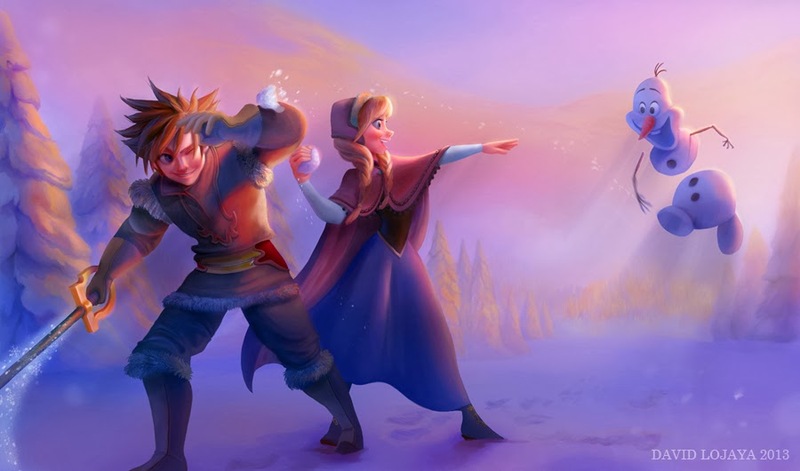 Anna and Elsa were both immediately popular additions to the Disney Infinity roster (at the time of writing Elsa is still in the top 20 interactive figurines on Amazon) so obviously a Frozen world in Kingdom Hearts would be the next logical step. Besides Arendelle being a visually striking world for Sora to visit, Elsa’s self-doubt and against her fear and inner-darkness is a perfect fit for the Kingdom Hearts narrative. Also, her ability to create spontaneous snowy formations would make for exciting gameplay environments that next-generation consoles are more than capable of handling. Fighting with Elsa to help her see the light before she is totally lost to darkness would also make for a compelling boss battle. 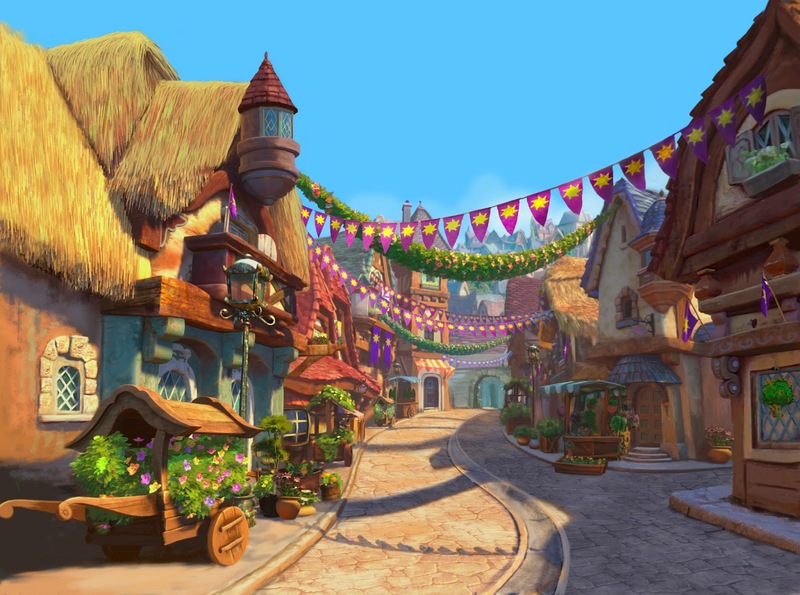 Not the most multiverse-shattering reveal in this list, but Tangled’s popularity and recognisability would make Rapunzel’s home town of Corona a welcome light-relief in the middle of Kingdom Hearts‘ often brooding plots. 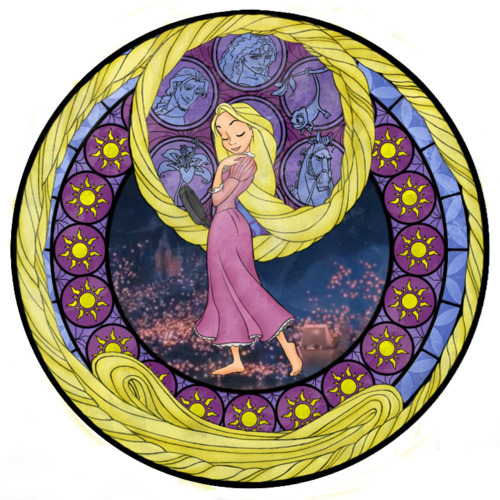 Artistic and chronological similarities suggest Tangled and Frozen are likely to be the one-two punch of Kingdom Hearts III and we could even see further evidence of Rapunzel’s relationship to Anna and Elsa. But even if we don’t, the opportunity to go in to a fight supported by Rapunzel and her all-purposes frying pan is promising enough. 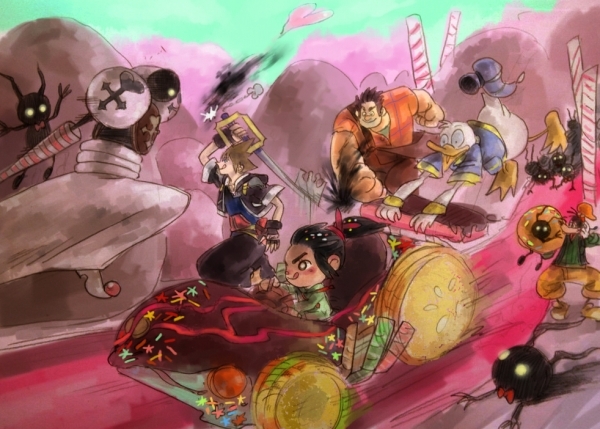 Wreck-It Ralph‘s possibilities as a world (or worlds) in Kingdom Hearts are too perfect an opportunity to pass-up. 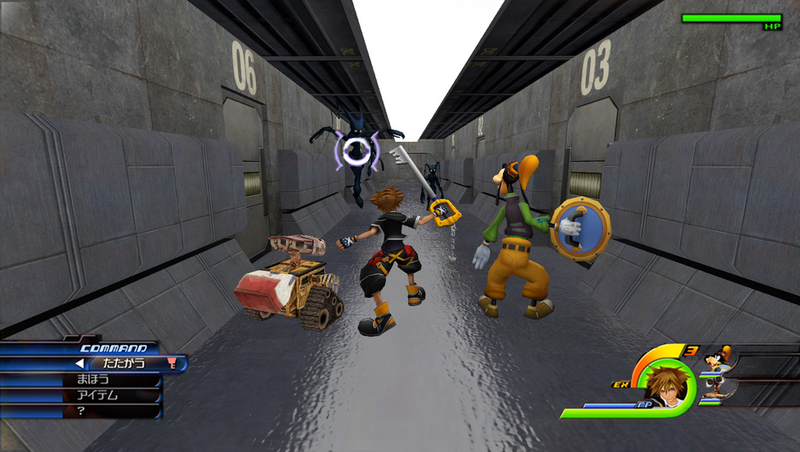 Game Central Station (above) is a ready-made hub location where the various characters of Kingdom Hearts could pass each other in the halls (we already know Moogles hang out there). Besides that, the retro platforming of Fix-It Felix, the shooter intensity of Hero’s Duty and the kart-racing exuberance of Sugar Rush offer plenty of inspiration for gameplay and level design. All of these elements mean Wreck-It Ralph could prove to be Kingdom Hearts‘ most varied world to date. Or it could even function as a collection of mini-games you return to throughout the story. One thing is for certain: there will be karts. Controversial? Likely? A great idea? Star Wars in Kingdom Hearts is all of these things. 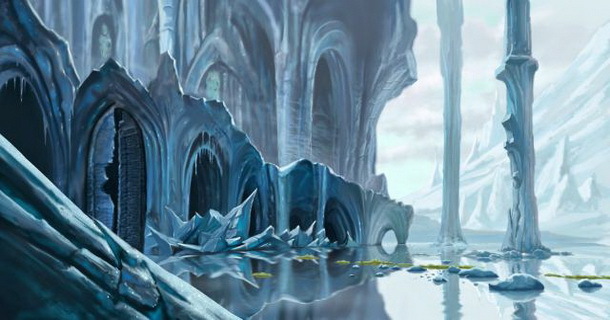 Despite not being an original Disney animated property (something that never stopped Pirates of the Caribbean, Tron, or The Nightmare Before Christmas) Star Wars’ new ownership by Disney as well as its ventures in to animation with the Clone Wars franchise (which seems to be a big inspiration for the character art above) make it a great setting for a Kingdom Hearts world. 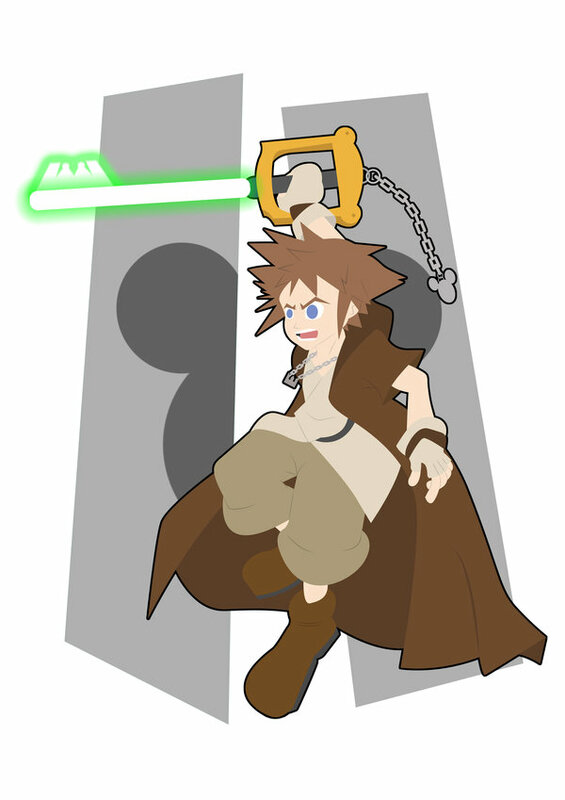 A Star Wars world in Kingdom Hearts would be awesome and amazing and you’re dying to play it. Search your feelings, you know it to be true. 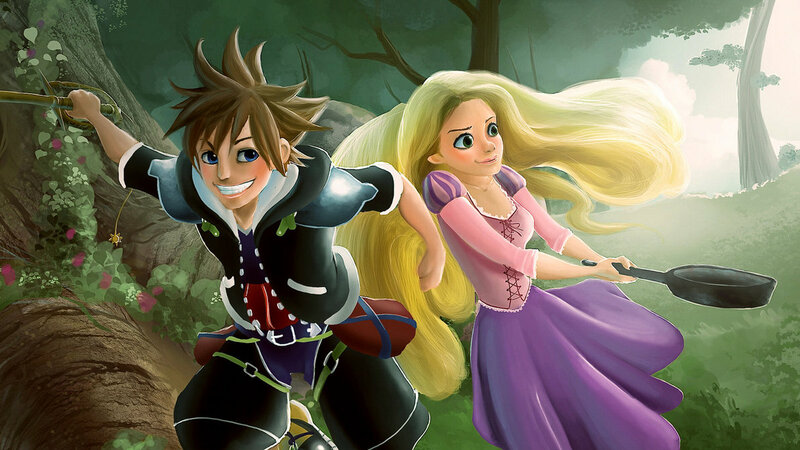 The following worlds are inspired by the direction Disney appeared to be going with Kingdom Hearts: Fragmented Keys but have not been confirmed in any real or legitimate way. If you didn’t stop reading in pure disgust at the inclusion of Star Wars you probably saw this coming. 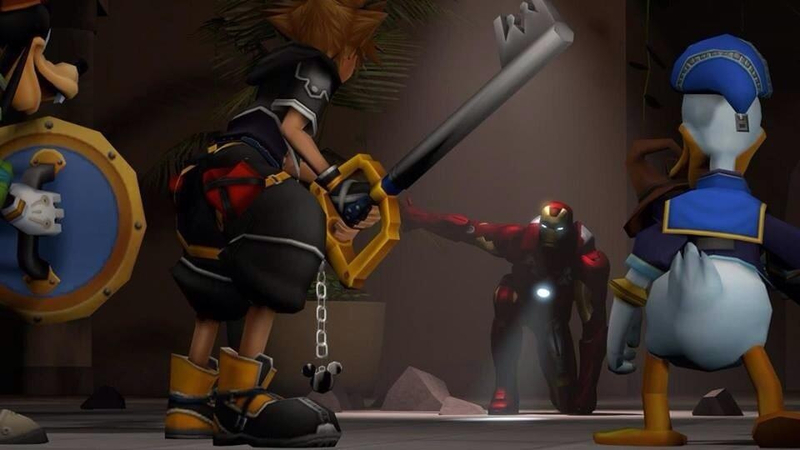 We’re already seeing Marvel superheroes entering in to the world of Disney Infinity so as the first numbered instalment of Kingdom Hearts since Disney’s acquisition of Marvel we should all be ready for the Avengers to assemble in Kingdom Hearts III. The complicated distribution rights of the Marvel Cinematic Universe might make the inclusion of the X-Men, Spiderman or the Fantastic Four a logistical nightmare, but with Avengers: Age of Ultron blowing up cinemas and Captain America: Civil War on the horizon there has never been a better time for an Avengers/Kingdom Hearts crossover. Tell me you can’t imagine defending Avengers tower from a horde of Nobodies as The Hulk slams fistfuls of Heartless in to the sides of buildings. 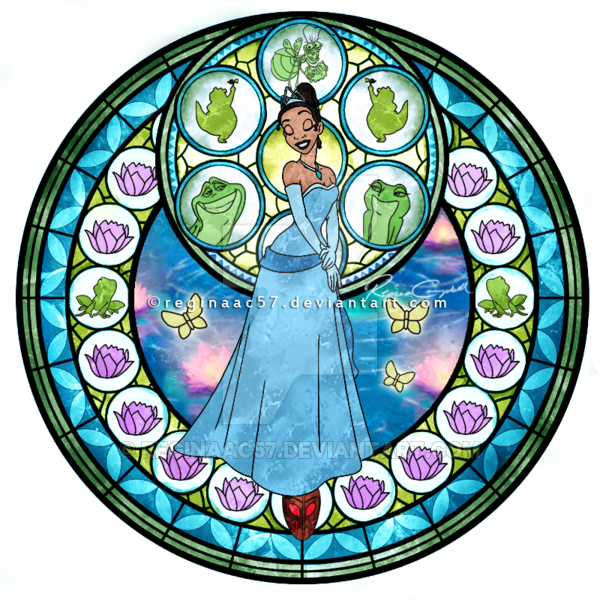 A bit out of left-field perhaps, but The Princess and the Frog is an often overlooked classic that is rich in setting and character. You can already imagine the story, the Shadowman has messed with the dark arts one too many times and engulfed New Orleans with Heartless. 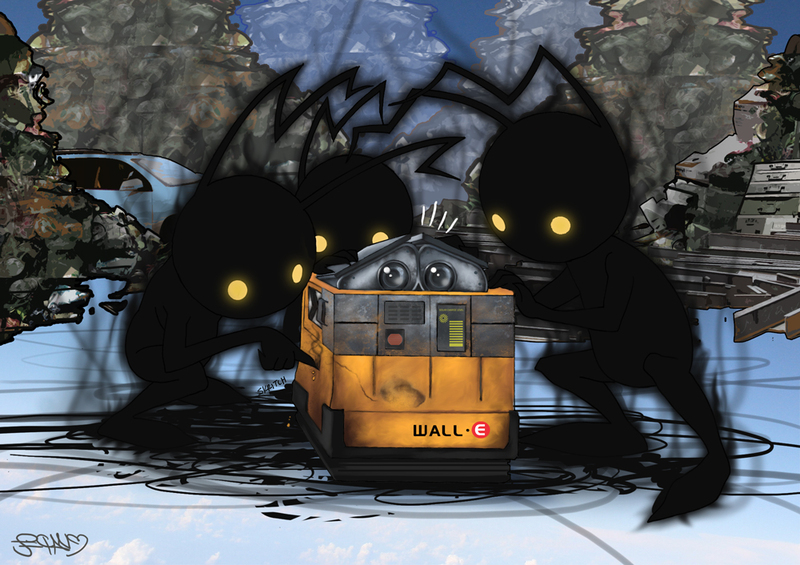 Only with the help of Tiana, Louis and voodoo lady Mama Odie can Sora restore balance and close the door to darkness. I don’t know about you, but I’m dying to see Wall-E in a Kingdom Hearts game. Not only would he make an adorable battling companion, but it would also be interesting to see Kingdom Hearts‘ story of light triumphing against dark played alongside Wall-E‘s environmentally friendly message of protecting and not abusing the world you live in. 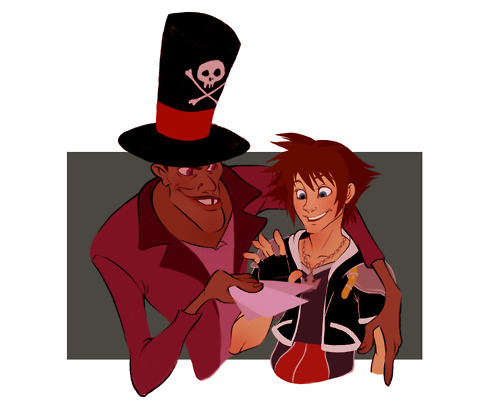 Aside from Tron and Lilo & Stitch, science fiction has been under-represented in the Kingdom Hearts universe so it would make an exciting change to see Sora exploring worlds that are in a ‘future’ timeline, even if those worlds exist in Kingdom Hearts’ parallel timelines. With that in mind, my final suggestion is another recent sci-fi Disney film that ties together superheroes, futuristic fantasy worlds and lovable characters in one action-packed thrill ride. The teaser for Kingdom Hearts III demonstrated more fluid, dynamic battles, and what could be more dynamic than flying around San Fransokyo on Baymax’s back while fighting off armies of Unversed? 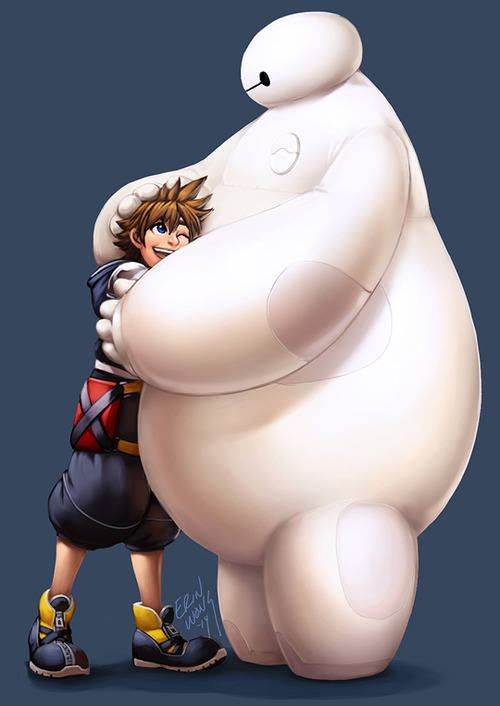 Baymax also happens to be the most instantly iconic Disney character in recent memory (and there are plenty of challengers for that throne) so he has to appear in Kingdom Hearts III, because I can’t wait until Kingdom Hearts IV. Of course these are just my speculations. Whatever worlds we have yet to see in Kingdom Hearts III I’m excited to see what they are. 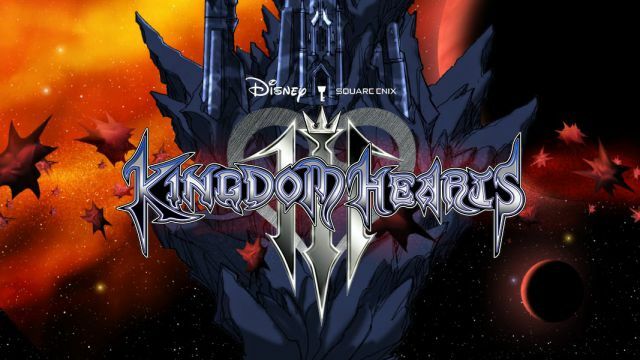 Please feel free to add your suggestions for worlds you would like to see in Kingdom Hearts III below. This entry was posted in The Disney Theories and tagged Big Hero 6, Disney, Frozen, Games, Movies, Tangled, Wreck-It Ralph. Bookmark the permalink. You should try to connect the Disney Theory with the Pixar Theory. I’ve made some work in that direction, using your theory of the Disneyverse (in it’s final form, as with the Kingdom Hearts article) and the classical Pixar theory, but I need more info on Once Upon a Time-Kingdom Hearts relationship.